Wood Buffalo mayoral candidate Don Scott is running on a platform to dramatically reduce FIFO workers (fly-in fly-out) housed in remote camp sites. The problems stems from the NDP government's Bill 21: The Modernized Municipal Government Act, which passed its first reading in the Alberta legislature late last year. Bill 21 would cap the ratio of business to residential taxes at 5:1. The bill is intended to help businesses deal with never-ending increases to tax rates, which has been getting worse since the economic downturn. Cities with a business-to-residential ratio greater than 5 can no longer raise taxes on non-residential properties and must come up with a plan to eventually conform to the 5:1 ratio. Fort McMurray has a ratio of 18:1, requiring either a huge reduction in business taxes or big increase in residential property taxes. To tackle this problem, Scott proposes moving oil sands workers out of permanent work camps and move them (and their families) into the city. It's worthwhile to note that the NDP government has repeatedly stated it would not force the 5:1 ratio on the city of Fort McMurray any time in the near future. However, Scott believes moving workers to the city will increase revenues and help the local economy. The municipality of Wood Buffalo has flip-flopped on the topic of FIFO workers several times in the past decade. City officials were initially opposed to "satellite" work camps, asking companies to settle their employees in the city of Fort McMurray. But as the oil sands continued to grow, home prices skyrocketed, vacancy rates dropped to zero, roads became unbearably congested and city's infrastructure began bursting at the seams. Local governments then decided it would be better to put employees in permanent work camps, and fly them out directly from site, without having to commute to the Fort McMurray airport. Fast forward to 2017, road access in and out of the city has improved (slightly). Fewer oversized modules are headed up Highway 63 due to less capital investment. The city has a bigger and better international airport. And the collapse in oil prices has increased the rental vacancy rate and dramatically dropped property prices. The mayoral candidate believes there is currently no incentive to grow the city of Fort McMurray since industry pays 90% of municipal taxes. Scott would like to see companies voluntarily reduce their commuter workforce but is prepared to impose "financial disincentives" should they fail to comply. Relocating to Fort McMurray has always been a contentious issue for oil sands operators, where the high cost of living can make it especially difficult to attract employees. Older oil sands facilities like Syncrude, Suncor and Albian Sands would not be affected since those employees are already made up of local residents. 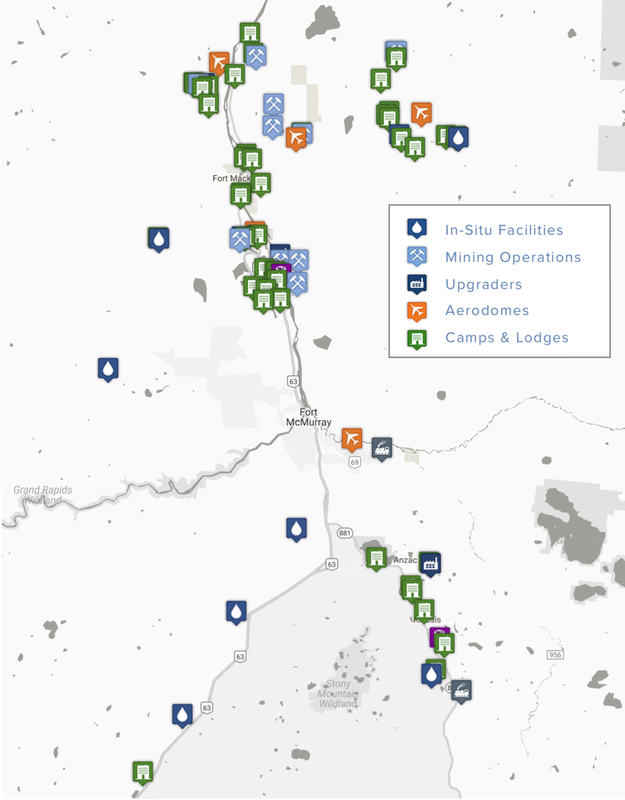 But newer sites like CNRL's Horizon, Imperial Oil's Kearl Lake and the upcoming Fort Hills mine are predominantly staffed with a FIFO work force. It can take over an hour to commute from town to these more remote work sites, sometimes as much as 90 minutes when road conditions are wet or icy. It's unclear how far is too far for workers to commute daily to and from town. The Wood Buffalo mayoral election will be held in October. The current mayor, Melissa Blake, announced she will not run again. Blake has served four terms in office, spanning about 10 years.